Continuing our “Get to Know” feature, this month we would like to introduce you to Joni Johnson-Powe. Joni had a rather interesting introduction to the tax world. Starting as a Husker, she earned her B.S. in Accountancy from the University of Nebraska. Pursuing her interest in tax, Joni headed to University of Colorado Law School in Boulder, with an emphasis in tax. E&Y saw her potential and recruited her for their Accounting Methods and R&D group. Wanting to explore outside this area, Joni transferred to Silicon Valley with E&Y and started working in SALT and tax technology. 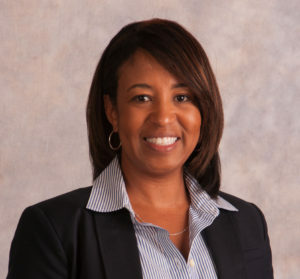 After missing Colorado (and affordable living), she returned to Denver in 1999 working now for KPMG in the telecom industry. This is where Joni’s interest in tax technology really spiked. Joni has been fortunate to have two influential mentors in her life: her father and a mentor at KPMG. Her relationship with her father, combined with his passion for tax—exemplified through a 30-year career with the IRS—solidified Joni’s pursuit of a tax career. Joni’s other significant mentor was Dan Burnett at KPMG, who taught her a great deal about the telecom industry and how tax technology was so beneficial for tax preparers. Joni is extremely thankful for the impact of these significant relationships. Around the time Sarbanes-Oxley was changing the accounting and tax services industry, Joni’s father left the IRS and started his own firm. Regrettably, he was diagnosed with cancer and passed away shortly after. Joni stepped in, helping his clients while on maternity leave. This became a launching pad to providing tax technology consulting services. Before fully committing to a career as a tax technology service provider, Joni spent some time at Grant Thorton and in SourceGas as a DOT. Eventually, she created a successful business called Taxnologi Solutions, LLC. Joni and her team provide invaluable services, improving clients’ efficiency by implementing technology solutions. Taxnologi Solutions offer services in the sales and use and VAT tax automation arena, including integration and configuration of software packages such as Vertex and OneSource for retail, telecommunication, and manufacturing clients. Focused on how a tax department functions and its professionals’ needs, Joni’s firm is instrumental in setting design requirements and working with internal IT department to manage and implement conversion strategies. Joni’s tax career is an inspiration to many young female tax professionals. She has developed her tax and client serving skills over the years while finding time to start a family, being blessed with four wonderful children along the way. Joni’s first FTL event was a summer picnic, her interest piqued by cofounder Ashby Walters’ passion for the organization, the mentoring aspect of the group, and how tax professionals were able to come together in a casual venue. She found FTL events more intimate, allowing relationships to develop. Joni believes including students is a great aspect of FTL: She herself has an intern, and remembers her experience at the starting point of her career. Today, Joni revels in being able to interact with and mentor our younger tax professionals.